Disney’s Tangled is a fan favorite and this Rapunzel braid bookmark craft goes with a Tangled movie night perfectly! 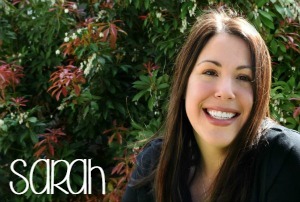 After you watch the movie, it will be easy to engage early readers in the storybook. 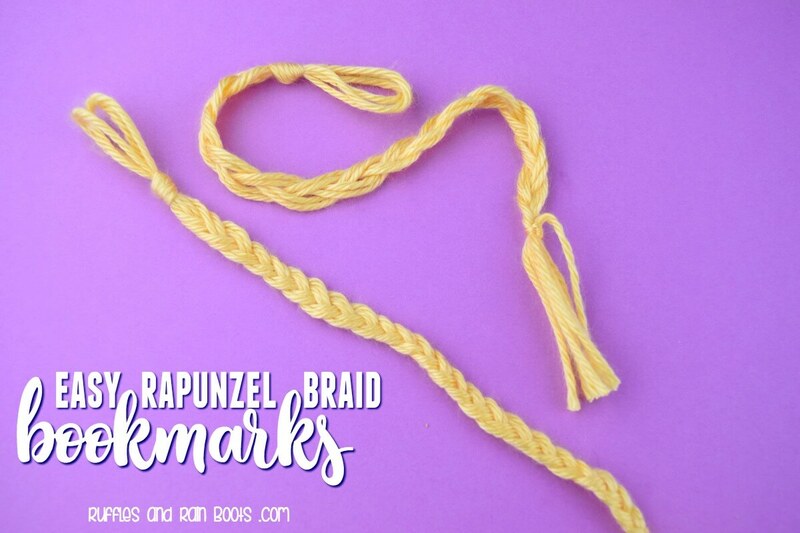 We made this Rapunzel braid bookmark while watching Disney’s Tangled. It’s one of my daughter’s favorite movies. Having seen it many times, I can safely say – this is also a great movie for the parents. 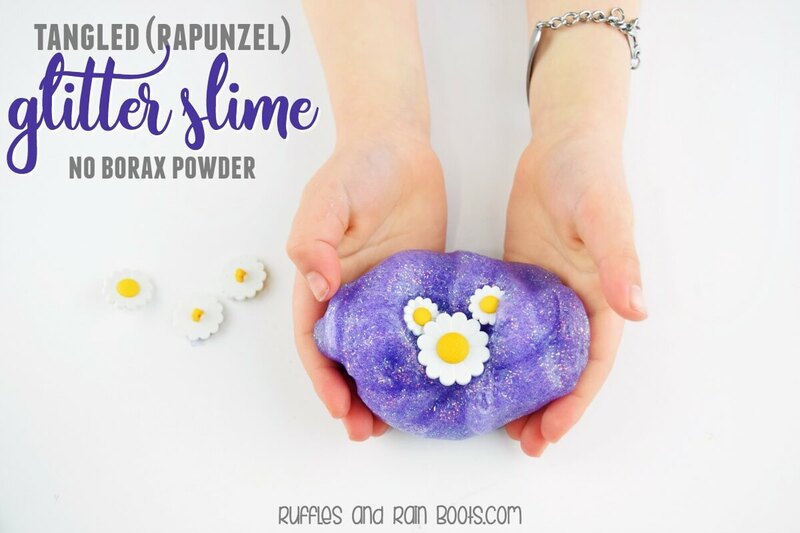 Safe for kids and surprisingly mess-free, this Tangled glitter slime will bring the smiles. 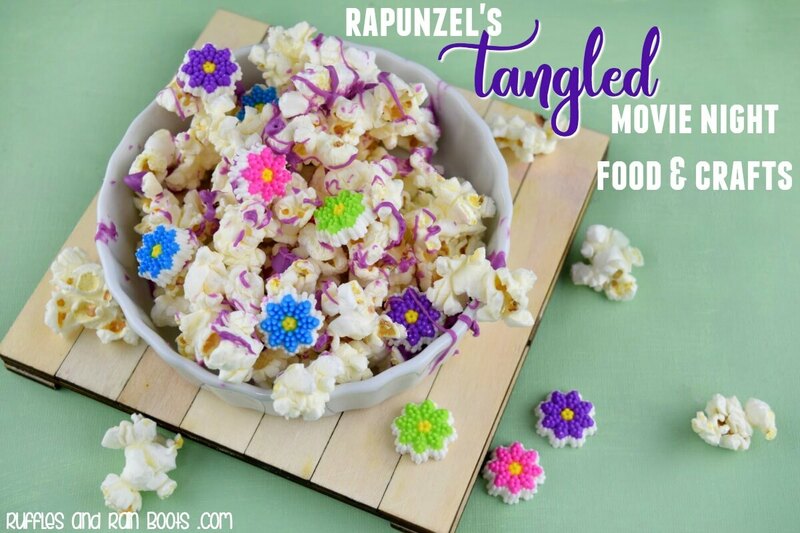 No movie night is complete without popcorn, and this sweet Tangled popcorn treat is perfect for any Rapunzel fan. When kids see the same movie a million times, they’re watching while distracted. Why not work on some fine-motor and early reading fun during the slower parts of the movie? This is quick and easy to set up and can be made in minutes. My 6-year-old needed a bit of help to remember which section to flip, but it was quite hands-off for me. Fasten the tied-off yarn to the clipboard or to something firm using tape. Separate three sections of 2 strands each. Let them braid and tie off the end with a piece of scrap yarn. This was her first time braiding, so it was slow-going and I had to remind her which side to fold over next. She loved this simple Rapunzel bookmark craft so much, she made two! Is Tangled a favorite in your house? Check out our other Tangled movie night fun and please pin this to your favorite Disney movies board on Pinterest.